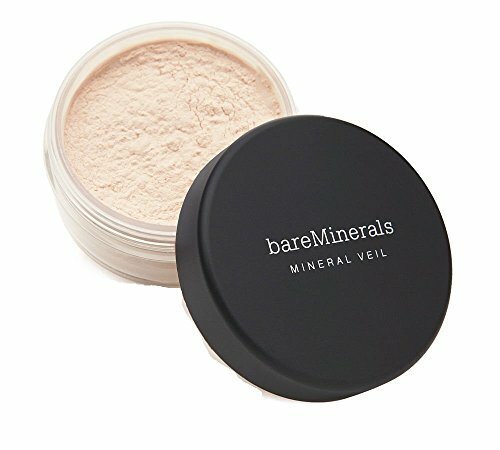 A luminous 100% pure bareMinerals finishing powder for the face. For the ultimate, translucent "finishing touch" to your makeup, Mineral Veil melts into your skin, infusing it with softness and light, giving the look you see with a soft focus camera lens. Buff on Mineral Veil over bareMinerals Foundation to lend extra staying power. Completely sheer and ideal for all skin tones, Mineral Veil gently absorbs oil and minimizes the appearance of lines and pores without the buildup of pressed or loose powders that contain parabens, waxes, dyes and binders. L'Oreal Paris Makeup True Match Lumi Glotion Natural Glow Enhancer Highlighting Lotion, Light, 1.35 fl. oz. BECCA - Under Eye Brightening Corrector, Light to Medium: Pearlized, peachy-pink, 0.16 oz. Maybelline Super Stay Foundation Stick For Normal to Oily Skin, Classic Ivory, 0.25 oz.